Dental emergencies can be of many different kinds, such as toothaches, broken/chipped teeth, an accident, a broken jaw, bleeding gums, etc. These emergencies could happen at any time of the day, and one should never neglect something as such. If such a case happens sometime during the day on a weekday, you can easily visit your nearest dentist. However, what if you face them in the middle of the night or even on a weekend? How would you handle the situation then? This is when you should be grateful for the existence of emergency dentists. Emergency dentists are available at all times and during all the days of the week, even on the weekends, when almost all other dental clinics are closed. This is a huge advantage, as you never know when you might trip off the stairs at night or get involved in a fight and might need immediate assistance. However, no matter what you do, never, under no circumstances, should you ignore the situation until the morning, as dental emergencies are serious issues. 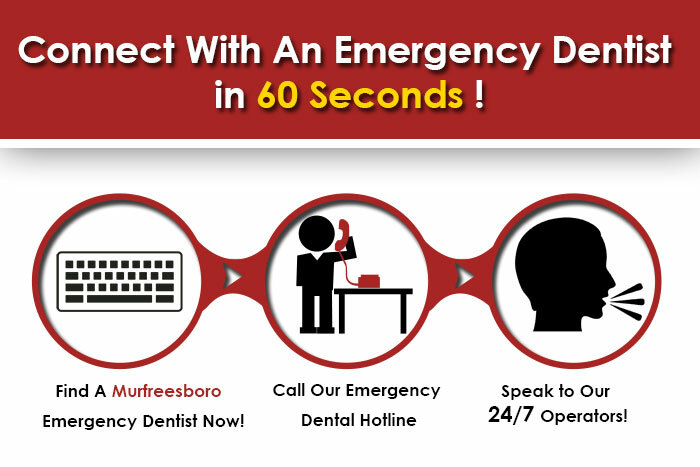 For those living in Murfreesboro, Tennessee, they are lucky because they have some extremely skilled emergency dentists nearby. Murfreesboro is Rutherford County’s County seat in Tennessee. Not only is Murfreesboro among the country’s fastest growing cities, but it is also the home to the biggest undergraduate university in the whole of Tennessee, Middle Tennessee State University. It has a population of around 117,000, which easily shows just how important emergency dentists are. For a city of such importance and population, emergency dentists are something that they cannot do without. And so, in case of any emergency, you can contact some of the best emergency dental care services available, a few of which have been listed down below. Operated by Greg Nicholson, D.D.S., this dentist is both a dentist and an artist, as he ensures that you go back home with the perfect smile that you’ve always wanted. If you’re worried about your dental fees, then this dentistry puts you at ease, as they accept different payment options. They offer a variety of dental solutions, some of which include dentures and extractions, crowns, bondings and implants, and invisalign orthodontics. You can call them for more information at (615)-893-5500. An extremely convenient dentistry, they’re available in 7 different locations aside from Murfreesboro, which are Brentwood, Bellevue, Donelson, Cool Springs, Hillsboro Village, and Hendersonville. They present you with the most qualified dentists, who ensure to provide you with the best service possible. Their procedures include prevention and cleaning, periodontal disease, cosmetic dentistry, orthodontics, and restorations. To book an appointment, call them at (615) 890-1811. They provide many different dental services, such as root canal therapy, cold/ sore treatment, gum disease treatment, invisalign, bridges, night guards, etc. They provide the latest technology and a calm atmosphere so as not to intimidate the patients. Call them today to make an appointment at 615-895-2363.